Arctic Cat® has joined forces with with Textron, a Fortune 250 company with a heritage of military-grade power, performance and precision engineering. The move combines the renowned powersports legacy of Arctic Cat with the resources of Textron — manufacturer of high-performance industrial, defense and aviation machines — to bring you the future of powersports. 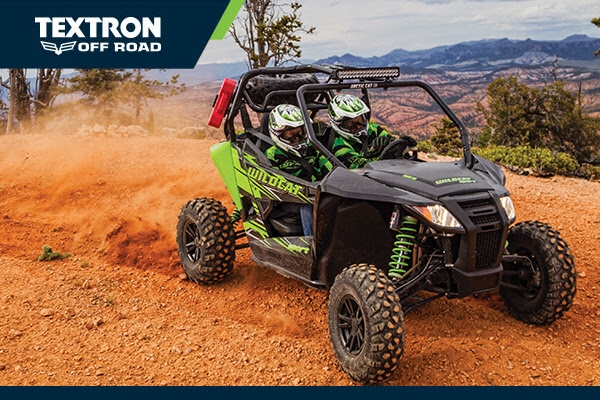 Soon, Arctic Cat side-by-sides and ATVs you know and love — like Wildcat™, Prowler® and Alterra™ — will be incorporated in to the Textron Off Road family of products. We are proud that all Textron Off Road vehicles will be designed and made right here in America. Built for our nation’s hardest workers and its most relentless adrenaline junkies, and backed by the Textron legacy.